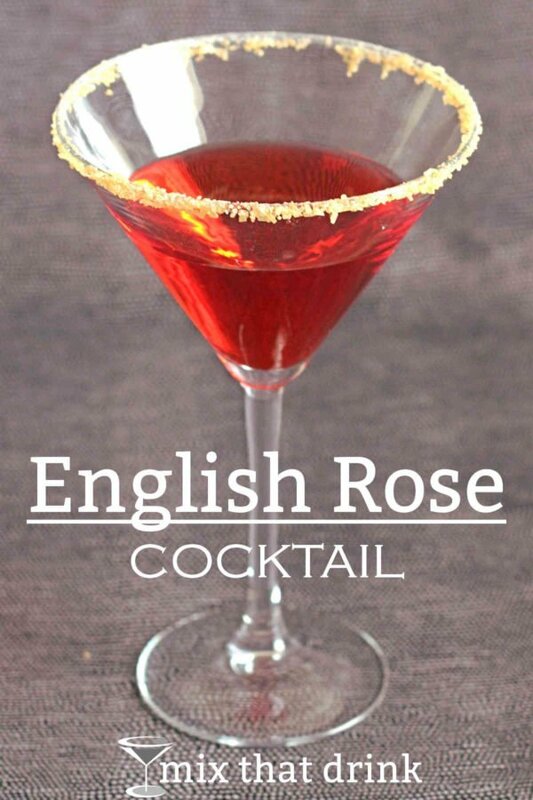 The English Rose Cocktail is gorgeous as well as tasty. It contrasts the sweetness of apricot brandy and grenadine with gin, dry vermouth and lemon. The result is a tart-sweet flavor that’s nicely complex but still easy to like. The gin you pick is important in this drink. Since there are both sweet and sour ingredients in this cocktail, I’d go for Tanqueray No. Ten or Hendricks. Neither of those are particularly dry gins. The juniper notes in those two are weaker than in London dry gins, and you get more citrus and botanical notes. Apricot brandy is a tricky spirit that’s fallen out of favor over the years. That’s largely because the cheaper bottles of it tend to taste like cough syrup. With flavored brandies, it’s always worth investing in a better bottle, like Marie Brizard Apry. 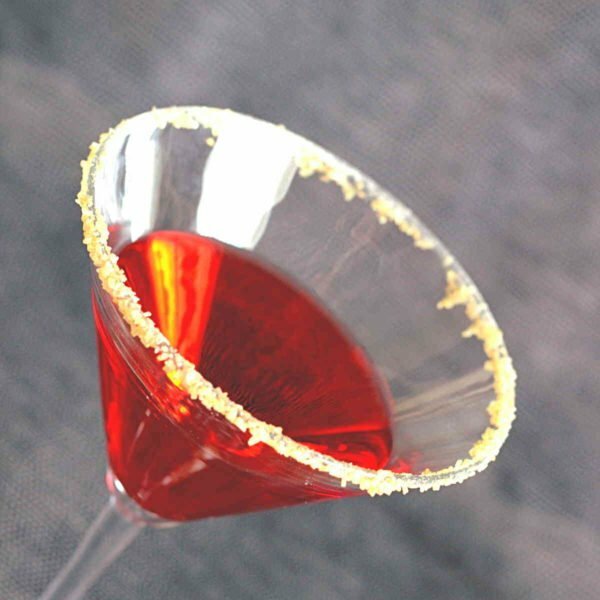 This drink calls for a sugar rim, and you can use plain white sugar, coarse or fine. I prefer to use turbinado sugar, which is coarse with a golden hue that makes it so beautiful on drink rims. It’s what you see here in my pictures. This is a moderately sweet cocktail. The teaspoon of grenadine adds some sugar, and the apricot brandy has a sweetness to it. But the rest of the drink is gin, dry vermouth and lemon juice. Those add some strong citrus and herbal notes to the overall mix. On the whole, I would classify it as sweet, but not very. It’s a little less sweet than, say, a Tequila Sunrise, which is all grenadine, orange juice and tequila. Rim a cocktail glass with sugar. Fill a cocktail shaker with ice and add all ingredients. Shake well and strain into the glass Garnish with a cherry.